Why do I prefer these colors, graphics, typeface fonts, slogans, industry “buzz words” and messages on my printed marketing materials? Did I choose the most effective printed products for my promotional marketing campaign or event? Does the design concept on my printing products express my image clearly, accurately and consistently? Why will the audience reading my printed marketing materials care? Is the information I have on my printed products useful to consumers? Is the design layout of my printing products too overwhelming and cluttered? Am I giving readers a reason to respond to my printed marketing materials (discounts, special offers, deadline, exciting experience)? Launchmark understands that printing companies that service the DMV area (Washington DC, Maryland, Virginia) need to be able to provide more than just business card printing in Washington DC and brochures throughout the District of Columbia. The printing services that Launchmark provides extend into other areas such as screen printing, calendars, catalogs, letterhead, booklets, event tickets, stickers, club flyers, yard signs and even banners for trade shows and brick and mortar stores. 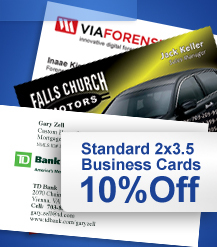 Want to save more money on your printing? Shipping & Handling is an additional cost based on your shipping location which will be calculated upon receiving the zip code. Our 24-48hr print products can be picked up at our Springfield office, However, once your order has been completed and ready for pickup, we'll send you an email and/or call indicating this. Please DO NOT come to our office unless you have receive a response from us to pick up your 24-48hr print order. Please note that our office is in a secured building and you will not be able to gain access unless you have an appointment or have been authorized to pick up your print order via email. Please understand that all files sent via email must be at least 300 dpi resolution. We accept the following file formats: .TIF, .TIFF, .EPS, .AI, .PSD, .JPG, .PNG & .PDF. Send all files to our production department. You're responsible for supplying content (images & text) for your marketing material. However, we strongly recommend that you utilize our Copywriting Service to enhance or develop the appropriate content for your marketing material for an additional hourly fee. Please view our Online Print Portfolio. What's the quality of our prints? We print on 14pt glossy card stock paper. Premium uncoated card stock, Recycled paper and UV coating is an additional cost. We provide digital and offset printing - 4 color CMYK and PMS printing. However, our offset printing is provided through our Online Print system only To receive a quote on your 4 color print project, please email us today! On average, most products we can design, print (digitally) and deliver your marketing material within 2-4 business days. Group run products with graphic design assistance, will take a little longer, 6-8 business days. Step 1: ideas, content and files via email. Step 2: We send you an invoice via email to pay with a major credit card or through a PayPal account. Step 3: We send you the design layout(s) or you approve the design layout(s). Step 4: We send a digital proof for you to approve. Step 5: We send approved design layout(s) to print and you'll receive your marketing material at your door step. 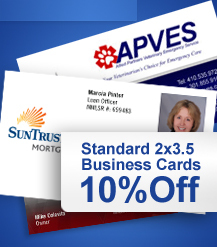 Receive print specials each month on all print products. What Should I Invest In My Marketing Efforts? What Are Infographics And How They Are Used? Launchmark, Inc. Copyright © 2015 All Rights Reserved. “You're now entering Launchmarkprinting.com, our online printing site.